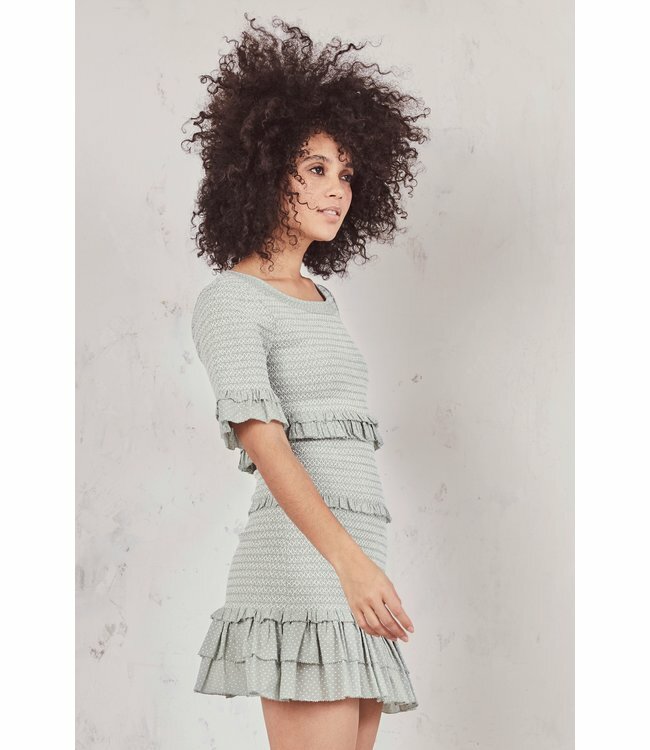 Love Shack Fancy Aveline Dress- Seaglass - Refinery Clothing Co. The tiered Aveline Dress is the perfect party frock in custom polka dot print intricately embroidered smocking showcased from top to bottom. The crewneck is framed in dotted cotton.